Magnetic Level Gauges are high-accuracy, low-maintenance instruments. They provide non-invasive level indication while eliminating leak points and fugitive emissions. Their robust design is ideal for high temperatures, high pressures and corrosive services. Bliss Anand gauges are easy to install and require no extra piping in most applications. This high-accuracy transmitter uses magnetostrictive technology to allow customers precise readings of product and interface levels, as well as temperature measurement of a tank from just one process opening. Our Instrument Chambers are designed to the ASME B31.3 standards, and are Pressure Equipment Directive (PED) complaint. They have weld neck flanges and full penetration welds in accordance with EN ISO 15614-1:2004, and ASME Boiler and Pressure Vessel Code Section IX are used throughout. There are two designs available: the Standard Design and T-piece Design. Bliss Anand America brings you two models of Radar Transmitters - The BlissFlex 2200 and the BlissWave 5200. The BlissFlex 2200 Guided Wave Transmitter is used for measuring distance, level, volume and mass. It is reliable and frequently used for common applications. 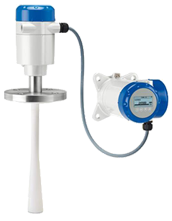 Our BlissWave 5200 Series is a radar meter for liquid applications. The design incorporates a unique locking system and antenna extensions to allow compatibility with various mounting positions and applications. Bliss Anand Level Gauge standard construction includes a solid one-piece chamber machined from carbon steel with covers, toughened glass and chrome molybdenum bolds and nuts. All metal parts are rust proofed. Recessed gasket seat prevent movement and insure leak-free service. Recommended for use with Bliss Anand Liquid Level Gauge Series and is compatible with all armored flat glass Liquid Level Gauges. A stainless steel ball check located upstream of the seal instantly shuts off flow in case of gauge glass break. Union gauge connection enables gauge removal without removing the gauge valves. Bliss Anand Type 2 & 3 switch mechanism are fitted with magnetically operated snap-action contact switches. The Bliss Anand switches operating mechanisms are constructed entirely in AISI304 stainless steel and fitted with a terminal board of resin suitable for high temperature applications. These two switches mechanism differ in the type of snap-action switches fitted and cover a wide range of applications and operating conditions. Special testing inspection and certification. Need-specific materials such as low temperature steel, AISI 316 L stainless steel, inconel, monel and PVC for chambers. AISI 316 L, inconal, hastelloy, monel, teflon etc. available for internal parts. Special models available for very high pressure. External chamber for series 7700 models. Bliss Anand Sight Flow Indicators provide an effective way to view the condition of liquids or solids flowing through pipelines at most any flow, pressure, or temperature, a major advantage over electronic devices where it is difficult to distinguish if there is a flow problems or malfunction in the device. Bliss Anand Sight Flow Indicators assure a direct and positive indication of flow rate, flow direction and condition of the medium being transported plus enable a means of inspecting pipelines for dirt, scale and foreign matter. Includes a variety of indicating elements. Mounting can be screwed or flanged. Installation can be vertical or horizontal. Uses specific materials based on need. Available with full view or double window. Bliss Anand is a leading manufacturer of level instruments and skids, based in La Porte, TX. We supply the O&G, Petrochemical and Process & Power industries with instrumentation to measure level, pressure and flow, along with skid package such as Modular Units, Chemical Injections, 2/3 Phase Separators, Indirect Water Bath Heaters, Gas Conditioning Regulating & Metering Systems, Filter Separators and Heater Treaters. Established as a family-owned business over 40 years ago, Bliss has grown into a world leader in the industry. We have expanded our manufacturing capabilities across the US, Asia and Middle East, and have sales offices across the world, allowing us to provide customer service, engineering support and fast delivery to the international market. Bliss Anand America worked with Schlumberger to provide Magnetic Level Gauges to the Heavy Oil Production Facility in Umm Niqa, Saudi Arabia. The project is maintained by Kuwait Oil Company. Bliss Anand America recently received an order to provide Sight Flow Indicators to Aramco Overseas Company for their Jazan IGCC Powerblock Project Package IV. Bliss Anand America was approached by Woodgroup Mustang on behalf of Kiewit Offshore Services to bid for the Peregrino II WHP-C Deck Project for Statoil Brazil. Having won the bid, Bliss Anand America is providing Magnetic Level Gauges, Magnetostrictive Level Transmitters and Guided Wave Transmitters to the project. ADIPEC (The Abu Dhabi International Petroleum Exhibition & Conference) November, 09-12 2015. Visit us at Hall 13, Stall #13270. OTC 2017 is around the corner and Bliss Anand America is geared up for the show! 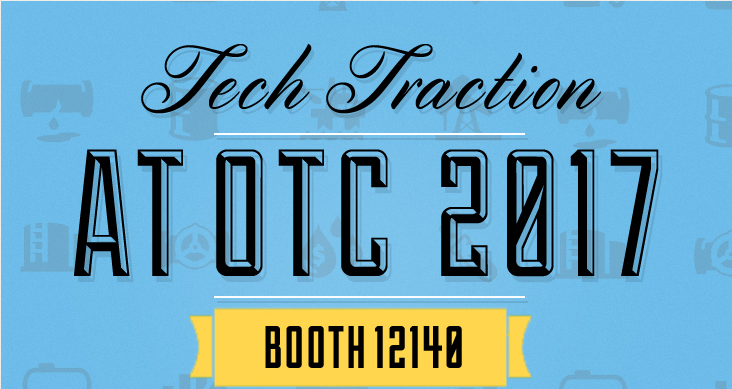 We are exhibiting our level, pressure and flow instrumentation along with mechanical skid packages at Booth 12140. See you there! Bliss Anand America will be participating in the ISA Texas City Tabletop Show on March 23, 2017. Will we see you there? Visit our tables to learn about our latest technologies, broad portfolio of products, and packaged solutions for your project requirements. Bliss Anand America is participating in ISA Houston's Shrimp Boil & Table Top Show on Wednesday, March 1st 2017. Join us from 5pm-8pm at the Houston Farm & Ranch Club to learn more about how our products can help you go the extra mile, while enjoying a delicious shrimp boil! We'll be at tables 37-38 and we look forward to seeing you there!